The Linhai 300SE four-wheel drive ATV represents the best value in a four-wheel drive ATV in Canada today. 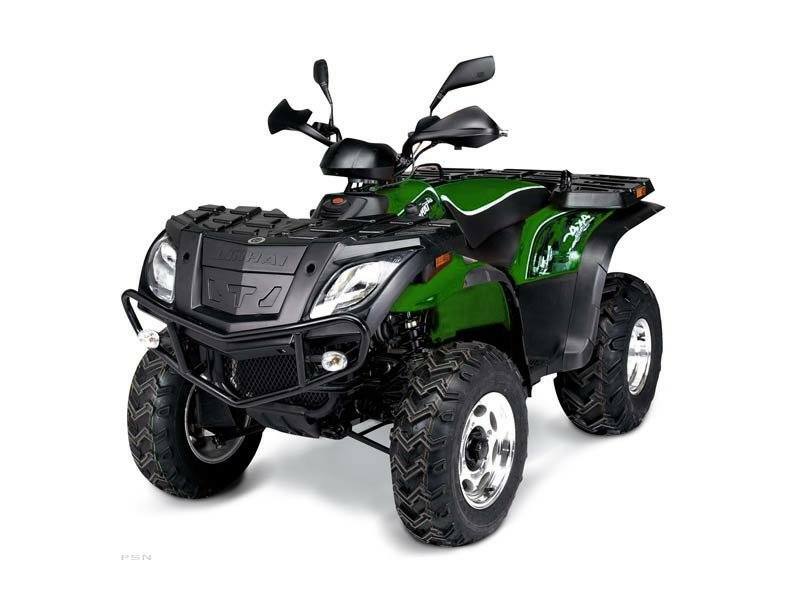 This model features the proven 300 cubic centimeter liquid cooled four-stroke engine also used in our Bighorn 21's. This efficient engine produces an impressive 21 horsepower and is mated to a fully auto CVT transmission featuring High and Low Range, and Reverse. Other standard features include aluminum wheels, disc brakes on all four corners, hand guards, digital info display, electric shift from two to four-wheel drive, molded front and rear racks with storage up front, dual halogen headlights, special "SE" graphics package and of course, proven Linhai quality. Front: 24 x 8 - 12 in. Rear: 24 x 11 - 10 in.